Benoit Mandelbrot, a mathematician, created the term fractal from the Latin word fractus (meaning irregular or fragmented) in 1975. Fractals are complex, never-ending patterns created by repeating mathematical equations. Fractals are distinct from the figures of Euclidean, geometry—the square, the circle, the sphere, the rectangle. They describe irregularly shaped objects or spatially nonuniform phenomena in nature such as coastlines and mountain ranges. 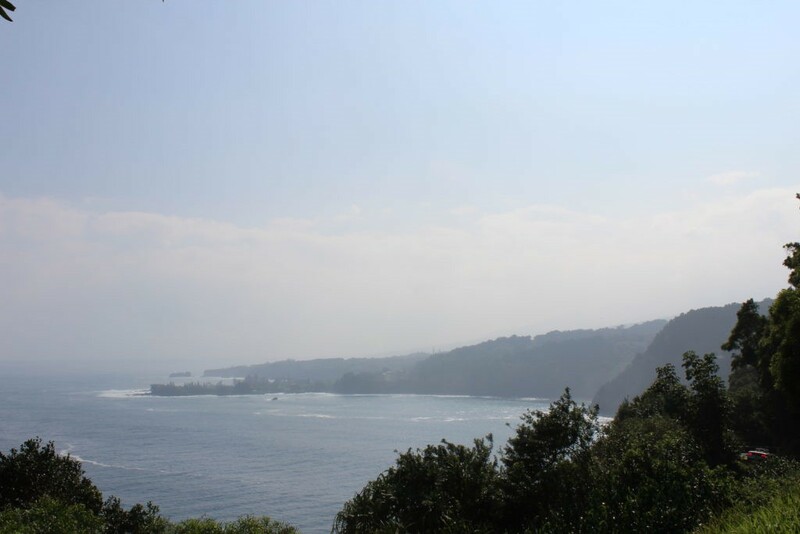 The coastline of Hana, Maui. Photo by Amy Lance. Snowflakes, tree branches, veins on a fallen leaf, the branching of coral, the pattern left by a lightning strike. Each of these is composed of fractals! In a snowflake, it’s the tiny branches of ice that form off of one another and get smaller and smaller and smaller. Look closely at a red, orange, or yellow leaf that has fallen in your yard. Hold it up to the light and look at the fine veins. That’s another example of a fractal in nature! There is a pattern to this sequence. Did you find it? Start by adding 0 and 1. You get the third number. Add 1 and 1 and you get the fourth number and so forth. It’s beautiful, complex, and never ending. It is said that hurricanes, spiral galaxies, and other natural phenomena follow the Fibonacci Sequence. While the Fibonacci Sequence isn’t a fractal, it is fascinating! Numbers and patterns are at the heart of everything, even that tiny insignificant snowflake that falls on your windshield. Look around and see math and nature in action!